Congress President Rahul Gandhi, General Secretary UP-East Priyanka Gandhi Vadra and Sonia Gandhi arrive at Ahmedabad for Congress Working Committee (CWC) meeting. The CWC is all set to kick-start its campaign for the polls as well as have a brainstorming session in Ahmedabad, to finalize the party’s election strategy. 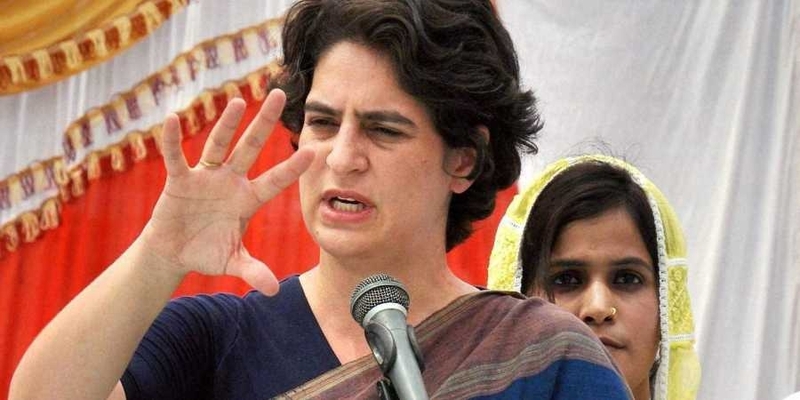 Priyanka, who was appointed a general secretary and in-charge of Uttar Pradesh east on January 23, has held a series of meetings with party workers but has so far not addressed any big public gathering. She held a road show along with her brother Rahul during her maiden political debut on February 11 but limited her remarks to that she hopes to start a “new kind of politics”. Congress General Secretary and star campaigner, Priyanka Gandhi will address the CWC for the first time and share her views at the party’s highest decision-making body. This is the first CWC meet after her appointment as general secretary. her views will be heard for the first time on election strategy, alliances, campaign issues and ticket distribution. After the meeting, Priyanka is scheduled to speak at a public rally in Adalaj in Gandhinagar along with Congress president Rahul Gandhi. UPA chairperson Sonia Gandhi, former PM Manmohan Singh and other senior leaders of the Congress would also be present.